In this policy brief, we describe one effort to mobilize community assets to develop a comprehensive and integrated approach to supporting well-being, prosperity, increased community power and pathways out of poverty. For the past five years, Bedford Stuyvesant Restoration Corporation (Restoration) has used its farm to early care program as one foundation for an integrated approach to community development. In telling that story, this policy brief seeks to inform efforts to develop the next stage of farm to early care in Brooklyn, inspire others to adapt this approach to their own communities and cities, and share the lessons Restoration has learned from this work. These experiences can also inform initiatives to use improvements in institutional food programs as a starting point for transforming other systems such as senior centers, afterschool programs, and health care centers. Create a stronger local and regional food distribution system to facilitate delivery of affordable fresh vegetables and fruits to local institutions. Improve workforce development programs and institutional infrastructure to supply trained workers, create career pathways in the food sector and to reduce other obstacles to local procurement. Review and modify as needed regulatory and enforcement practices that may have the unintended consequence of deterring healthier institutional food programs, and explore regulatory and enforcement practices and incentives that may create incentives for healthier institutional food programs. Provide more financial support for child nutrition assistance programs. Develop procurement practices that facilitate increased use of healthy, locally produced food. Make equity a priority for institutional food programs. Launch education, outreach and enrollments campaigns that expand reach of institutional food and public food benefits. Establish partnerships that strengthen collaborative efforts on key institutional food program tasks such as data sharing, evaluation and monitoring, and workforce development. Over the next year, Restoration is creating a learning network to advance local food procurement at child care centers, senior care centers, and health facilities in Central Brooklyn and to strengthen the local food system in New York City. This initiative seeks to promote health and child development, create economic opportunities for families and increase opportunities for local suppliers and businesses of color. Working in partnership with several Central Brooklyn and citywide organizations and with the CUNY Urban Food Policy Institute, Restoration invites others seeking to improve health and food environments in Central Brooklyn to join its efforts to translate the goals listed above into concrete action plans that will help realize the full potential of farm to institution programs. Across New York City and the nation, low-income and working families with young children endeavor to raise strong, healthy children; maintain their family’s health; find and keep decent jobs and affordable housing; create safe communities; and claim a voice in shaping their neighborhoods. At the same time, resilient families and children, skilled and experienced leaders, and many established civic organizations with a history of organizing to improve their neighborhoods have shown the power of local action to promote health, equity and community development. In this policy brief, we describe one effort to mobilize community assets to develop a comprehensive and integrated approach to supporting well-being, prosperity, increased community power and pathways out of poverty. For the past five years, Bedford Stuyvesant Restoration Corporation (Restoration) has used its farm to early care program as one foundation for an integrated approach to community development. In telling that story, this policy brief seeks to inform efforts to develop the next stage of farm to early care in Brooklyn and engage new partners in building an institutional food network in Central Brooklyn. This work can inspire others to adapt this approach to their own communities and cities and share the lessons Restoration has learned from this work. Affordable healthy food is particularly hard to find. In Bedford Stuyvesant, for example, eight in ten food stores are bodegas, small convenience stores with limited healthy options. The district has 120 square feet of supermarket space per 100 residents, only 27% of the supermarket space in the city’s highest ranked district.8 In part as a result, 19% of residents report eating no fruits or vegetables the previous day, almost twice the citywide rate. These statistics illustrate the potential benefits of increasing access to healthy affordable food in Central Brooklyn as a strategy for reducing the disproportionate burden of diet-related health conditions. A review of demographic and health data from the four Central Brooklyn districts further illustrates the disproportionate burden of diet-related conditions. Healthier children. By bringing fresh produce to early care centers, farm to early care makes it easier for young children to consume more fruits, vegetables and other healthy foods, thereby contributing to lower rates of obesity, diabetes and other diet-related conditions. These health problems impose a high burden on low-income, Black and Latino communities and contribute to inequalities in health. Better educated children. Evidence shows that well-nourished children learn more proficiently, miss less school and develop cognitively better than children who lack essential nutrients or calories. Making healthy food available within the preschool amplifies the academic head start these programs provide. Healthier Families. Farm to early care provides a forum to teach parents about healthier eating and introduces and familiarizes children with healthier food. Preschool-based food box programs (boxes of farm fresh healthy foods available to take home to families) and cooking classes further contribute to healthier home food options for participating families. More self-sufficient families. By ensuring that no child leaves early care hungry, partnering with distributors to offer families farm share food boxes, connecting families to public food benefits such as SNAP and WIC, and facilitating parent enrollment in job training programs, farm to early care can provide added contributions to family income, lower food costs, and clear pathways to employment. Improved access to health care. Farm to early care provides a natural setting for counseling and education for children and parents on nutrition and obesity and diabetes prevention and management, referrals to local community health centers, and assistance in securing health insurance coverage. Community and regional economic development. Increasing the demand for healthy affordable locally grown food and improving the infrastructure to deliver it to institutions and retailers in low-income communities can make communities more self-sufficient, create jobs, keep capital in the community, and preserve and expand regional and urban agriculture. Improved community access to healthy affordable food. Community-based food hubs can create the infrastructure that makes it less expensive and time-consuming for institutional food programs, farmers markets and local retail outlets to procure healthy local produce. Farm to early care can serve as a foundation for the development and expansion of such hubs. Such local hubs also reduce reliance on commercial food distributors whose pricing and business practices can drain local resources, exporting capital outside the community. Workforce development. Institutional food programs in childcare and other settings need cooks, food preparers and other staff. Working in partnership with other organizations, farm to early care programs can help existing food service staff develop their skills, credentials and wages and assist parents to get the training they need to secure such jobs, often convenient for parents of young children. Improve health of child care teachers and staff. Many of those who work in child care programs also face health and nutritional challenges. By providing healthy food on site, sponsoring on site nutrition education and cooking classes and linking them to community food benefits, child care programs can help their staff choose healthier diets, reduce food insecurity, and better manage diet-related chronic diseases. Stronger civic engagement and democracy. Farm to early care programs can become a place where parents, children, child care staff and partner organizations learn about the food system, participate in advocacy campaigns to improve local food environments and communicate their needs to elected officials. In 2013, Restoration decided to focus on early childhood centers as a starting point for changing local food environments. The organization had previously partnered with several child care centers on other initiatives, giving it access to center directors, staff and children. Starting food programs with young children was appealing because it offered the promise of both establishing healthy eating habits at an early age and preventing later health and educational problems. Moreover, a preschool food program could serve as a platform for nutrition education for center staff, children and parents and an opportunity to develop the skills of the cooks working in these centers. Informed by evidence from farm to early care programs in other jurisdiction,12 Restoration created its initiative to bring local produce to preschool centers in Central Brooklyn. The use of local produce promised other benefits. It could support regional and local businesses and farmers, including Black and Latino farmers in the region who sometimes had trouble finding markets in New York City. Fresh produce could also help to engage children and their parents in nutrition education, cooking demonstrations, and job training. By designing multiple entry points into farm to early care, Restoration was able to engage a diverse cross-section of constituencies and tap into varying motives for supporting the initiative. The program began at one Head Start site, encouraging the food service staff to remove canned fruits and vegetables from their menus and replace them with fresh items. Establishing a direct partnership with Corbin Hill Food Project, an organization that brings food grown in upstate New York to low-income communities in New York City, enabled Restoration to bring farm fresh food into school meals. Restoration broadened its programming to include the design and development of a community garden run by parents and youth. Encouraged by the preliminary success, farm to early care increased the number of partner child care locations that embraced their healthy food programming, from 10 sites with 700 children in 2013 to 30 sites with 1,500 children by 2016. Of these, 13 are Head Start programs. At the same time, implementing farm to early care presented challenges. Fresh food was not locally available year-round and set school menus sometimes made it difficult for child care centers to use what was seasonally available. Transportation in dense urban neighborhoods was often a problem, making it difficult for food distributors to get fresh food to the child care programs. One parking ticket could wipe out a food distributor’s profits for the day. Restoration’s food distribution partners, which included both non-profits and commercial businesses, struggled to find the right balance between making a profit and having a social mission. Another challenge was that big commercial food service vendors were sometimes reluctant to take on the relatively small child care centers as customers while small distributors faced difficulties meeting orders and making deliveries. For under-funded, under-staffed child care centers, adding additional food vendors and deliveries complicates their schedule and can interrupt other services. By building demand and infrastructure for the creation of healthy food outlets in the target neighborhoods, including cooperative buying structures, farmers markets, and farm shares. In its five years, Restoration’s farm to early care program has achieved some important successes. It has expanded the number of sites, children and families served. It has established strong relationships with local early child care providers, Central Brooklyn farmers and urban gardeners and city agencies. These partnerships now have the potential to deepen the work at the 30 participating child care programs, expand to other early care centers, and extend this work from Central Brooklyn to other Brooklyn neighborhoods and eventually to all of New York City. Restoration’s farm to early care has brought healthy farm-fresh food to students and families of early care facilities and established multiple food box programs, including year-round programming at one location. Restoration’s success with farm to early care institutional sourcing has also helped to prime the pipeline for broader systems change and improved healthy eating in the home. For example, several organizations including Corbin Hill Farms, a nonprofit distributor that provides fresh fruits and vegetables to institutions and low-income communities, and The Common Market, a regional healthy food distribution program, are each working to contribute to a local food hub that can serve as a distribution point for healthy food to institutional food programs and retailers. As this hub develops, it can serve as a focal point for bringing local produce to grocery stores and other retail food outlets, making healthier food available to all community residents. Other institutions such as hospitals, senior centers, and schools are seeking to benefit from Restoration’s procurement network, creating the opportunity to achieve greater synergies and economies of scale. Finally, farm to early care has inspired participating centers to create or expand other food initiatives including nutrition education for staff, parents and children; cooking demonstrations; training of food workers; and new health promoting policies that make fresh local food consumption priority, and new physical activity programs and campaigns to limit sugary drinks. Assisting community organizations and residents to choose healthy options in food has sparked interest in creating other opportunities to make healthy choices more accessible, available and affordable Several indicators suggest that Central Brooklyn residents support the goals of farm to early care. For example, at a community consultation conducted by staff of the NYC Department of Health and Mental Hygiene (DOHMH) in 2015 and 2016, residents of Central Brooklyn ranked as high priorities several health goals that could be advanced by an expanded farm to early care program. These included improving access to child care, reducing obesity, controlling high blood pressure, meeting unmet medical and mental health needs.14 This suggests that with additional outreach and education, community residents could be enlisted to extend the multiple benefits the farm to early care programs offer. In the last 10 years, Restoration has developed an active portfolio of food programs. It led efforts to attract the first full-service supermarket, the first sit-down restaurant and the largest farmers market to the area. Restoration has been the lead player in the W.K. Kellogg Foundation Food and Fitness Initiative’s New York City Partnership, a nine-year national initiative to improve health equity through improved food and physical activity systems and environments. More recently, Restoration has created the Center for Healthy Neighborhoods, an integrated initiative designed to tackle the serious health problems that burden low-income communities in Central Brooklyn. Farm to early care both supports and is supported by Restoration’s other key food-related activities, including the previously described emerging food hub, created in partnership with several other local food organizations. This hub can facilitate the distribution of local produce to retail outlets and institutional food programs in Central Brooklyn and will also house a co-packing enterprise. The hub will also house a food cooperative to create improved retail access for residents and a flexible enrollment farm share program that accepts SNAP and delivers food boxes of fresh produce to families enrolled in six child care centers as well as to two schools and a hospital. Restoration also sponsors a Farmers Market Promotion Program that connects six farmers’ markets in a network that seeks to boost productivity and profits to better and more sustainably serve the Central Brooklyn communities where they are based. Restoration’s Economic Solutions Center programs provide comprehensive job training and sector-specific certification in a variety of employment sectors including food. Participants learn both how to apply for jobs and obtain the credentials needed for various job opportunities, including food handlers’ safety certification. The Center also helps individuals find access to a range of other services and benefits, including SNAP. Through farm to early care and other programs, Restoration has demonstrated several key lessons for those seeking more equitable community development strategies, healthier food environments, and more effective strategies to reduce the poverty, racism, and lack of power that confront low-income communities of color in the United States today. First, it has shown that experienced community-led organizations can develop bottom-up intersectoral coalitions that can address the fundamental social determinants of health and development. The successes of farm to early care–its widening circle of participants; the active engagement of parents, child care centers and staff, city officials, and others, and its intersectional strategies—derive not mainly from outside forces but from the community voices that have helped to shape it. Second, Restoration has shown that by bringing together the many community assets that characterize Central Brooklyn –resilient families, dedicated child care center staff and other health and social service providers, community-oriented business and community leaders —it is possible to create partnerships that expand opportunities for raising healthy, well-educated children and thriving families. Third, Restoration has shown that it is possible to create and expand a multi-faceted locally grown public and civil society sector food system, one whose practices challenge the mainstream dominant food system that makes unhealthy food cheap and ubiquitous, extracts wealth from the community, and contributes to epidemics of diet-related diseases. Fourth, by using its partnerships, its roots in the community, the authenticity and trust it has won over several decades, Restoration has shown that communities can champion development strategies that restore power to low-income communities, offer alternatives to gentrification policies that benefit investors and developers, not community residents and implement strategies that have the potential to reduce the inequalities in health, wealth and power that now so consistently characterize New York City neighborhoods. Expansion of Restoration’s farm to early care can build on three parallel developments that can enhance and extend its impact. First, in a recently released Strategic Plan for 2019-2023, Restoration articulates several bold new goals. As Colvin W. Granum, the President and Chief Executive Officer of Restoration, observed, “Control of assets is the true measure of economic and social equity. At Restoration, we’re committed to leading the movement to close the racial wealth gap by assisting low and moderate income residents of Central Brooklyn as they seek to achieve more, earn more, save more and invest more.” 15 In the next five years, Restoration proposes to attract to Central Brooklyn more than $200 million in new capital, investments that can benefit an expanded farm to early care program and leverage its contributions in a virtuous circle of community improvement. In March 2017, New York State Governor Andrew Cuomo announced the creation of Vital Brooklyn, a $1.4 billion investment to break down barriers of health and wellbeing in Brooklyn through eight integrated areas of investment including open space and recreation, healthy food, community-based healthcare, comprehensive education and youth development, economic empowerment and job creation, community-based violence prevention, affordable housing, and resiliency. 16 In announcing Phase 2 of Vital Brooklyn in 2018, Cuomo noted that “every New Yorker deserves equal access to health care, quality housing, outdoor recreation, and opportunities to earn a decent wage for a fair day's work, but for too long Central Brooklyn has lacked the attention and investments needed to deliver equity for residents." 17 Vital Brooklyn has the potential to provide the capital and the political support needed for implementing comprehensive, intersectoral innovations such as Restoration’s farm to early care and for ensuring it is fully integrated with related initiatives. Finally, Mayor Bill de Blasio’s OneNYC Plan and its 2018 expansion provides another pillar of support for farm to early care. De Blasio vows to make New York City “the most resilient, equitable, and sustainable city in the world.” Restoration’s farm to early care program provides a concrete and specific to realizing this aspiration and to make measurable progress in reducing the food, health and wealth gaps that now disproportionately burden Central Brooklyn. A stronger distribution system, including improvements to last-mile delivery, is necessary to facilitate greater delivery of local produce to institutions in Central Brooklyn and throughout New York City. An increase in funding for the development of an infrastructure that will strengthen distribution of local produce to institutional food providers, including a food hub, is key to early stages of improvements. This can be done through direct funding as well as subsidies and incentives for the development of innovative distribution systems that support last mile distribution to facilitate purchasing. Additional incentives for the use of local produce in institutional settings such as child care, schools, hospitals, and senior centers would also expand the market for distributors. Another aspect of strengthening the system would be to mandate vendors to give destination and origin tracking of produce to facilitate more local procurement practices. Suppliers, institutions, and consumers would understand the source of their food and be able to make informed decisions around where they choose to spend their dollars. Institutions must have trained staff and adequate kitchens and tools to support preparing and serving food. Financial support to upgrade and maintain kitchens of institutional food programs would enable more preparation of local produce. It is also imperative that there is support for workforce and professional development programs that make institutional food program jobs a path into higher paying food sector jobs to promote economic mobility. Government has an obligation to protect public health and public safety but sometimes these rules or their enforcement can have unintended and unwelcome consequences. For example, giving parking tickets to vendors delivering food supplies can complicate access to healthy local food and USDA, New York State and New York City rules on institutional food menus sometimes differ, making it challenging for child care programs that received funding from all three sources to comply. Child nutrition assistance programs serve as a crucial tool for providing low-income children and families with additional support for purchasing and consuming a sufficient amount of food. Although these programs have existed for decades, many families and institutions still aren’t aware that they qualify for participation. Policymakers and agencies should provide more support for outreach and education to increase enrollment in the Supplemental Nutrition Assistance Program (SNAP). For child and adult care programs, precisely defining local produce for the federal Child and Adult Care Food Program (CACFP) would support procurement of more local food. City and State officials should also monitor the implementation of New York City’s universal free school meals to ensure all eligible children and young people are served, the quality and cultural appropriateness of food served is improved, and children, youth, and parents more fully engaged in school food programs. As President Trump and the Republican Congress threaten to cut back food safety net programs, 18 city and state officials should advocate against such cuts and, if they occur, for replacing federal funds with city and state funds. Community organizations and nonprofits in New York City, Brooklyn and Central Brooklyn can also play a key role in expanding the reach and impact of farm to child care and other institutional food programs. By developing procurement practices that make it easy to use distributors that supply fresh local food, sharing best practices on solving distribution and transportation problems, institutional food programs can make their procurement practices healthier, more efficient and less expensive. Ensuring that institutional food programs prepare and serve food that is culturally appropriate (e.g., halal, kosher, or familiar to Caribbeans, West Africans, or Central Americans) can increase consumption and enthusiasm for the program. Organization can support efforts to increase the variety of vegetables and fruits available locally, including those familiar to local cultural and ethnic groups. Finally, organizations can encourage federal, state and city food programs to define local produce precisely and provide support for increasing procurement of local food. Organizations serving institutional food can make equity a priority in several ways. They can support the growth and development of Black, Latino and women farmers upstate and locally of people of color food workers in Brooklyn. They can create or support the development of resident owned food cooperatives and worker owned food businesses that strengthen the community-controlled and people of color-controlled food sector in Central Brooklyn. In their nutrition education programs, they can point out how big food companies often target Black and Latino communities and youth for marketing of unhealthy products such as soda and fast food and develop counter-marketing campaigns to combat such racial targeting. Community organizations can lead campaigns to ensure that all eligible households are enrolled in institutional food, SNAP and other public food benefit programs. They can create or support advocacy campaign to protect public funding for such programs. They can also initiate campaigns to reduce the stigma of acknowledging or getting help for food insecurity. No single organization can fully realize the potential for expanded institutional food programs nor overcome the obstacles such programs encounter. By establishing partnerships with other groups, however, organizations can solve problems that are beyond their capacity or resources. Creating and better using technology to share data, coordinate among sites, including family day care, monitor food purchases and use and assess the impact of various options on healthy food consumption, organizations can make their programs more efficient and effective. Developing cross-site evaluation studies facilitates identification of best practices and provides feedback to improve the quality of programs. Creating and testing protocols for referring and serving those with diet-related diseases between health care providers and child care programs can magnify the impact of each type of agency. An integrated workforce development program can help cooks, food servers and others to get more training and advance their careers, benefits that any single program may have trouble achieving. By collaborating with City University of New York, which sponsors a variety of certificates and degree programs in food services, culinary management and nutrition, Restoration and its partners can give those working in the institutional food sector new paths to career advancement.19 In 2018 and 2019, to further examine barriers and facilitators to institutional food procurement, Restoration is creating a learning network to advance local food procurement at child care centers, senior care centers, and health facilities in Central Brooklyn and to strengthen the food system in New York City. This initiative seeks to promote health and child development, create economic opportunities for families and increased opportunities for local suppliers and businesses of color. Working in partnership with several Central Brooklyn and citywide organizations and with the CUNY Urban Food Policy Institute, Restoration invites others seeking to improve health and food environments in Central Brooklyn to join its efforts to create an expanding network of organizations and individuals committed to achieving the full potential of farm to child care. We thank the W.K. Kellogg Foundations and its Food and Fitness Partnership for funding for Farm to Early Care and its evaluation. We thank Michele Silver at the CUNY Urban Food Policy Institute and Afia Bediako at Restoration for their contributions to this work. The views expressed in here are those of the authors, and not their organizations or funders. Suggested Citation: Ames M, Capers T, Willingham C, Wolf S, Freudenberg N. Bedford Stuyvesant Restoration Corporation’s Farm to Child Care Program: A Foundation for Healthier, Stronger Families and Central Brooklyn Communities. 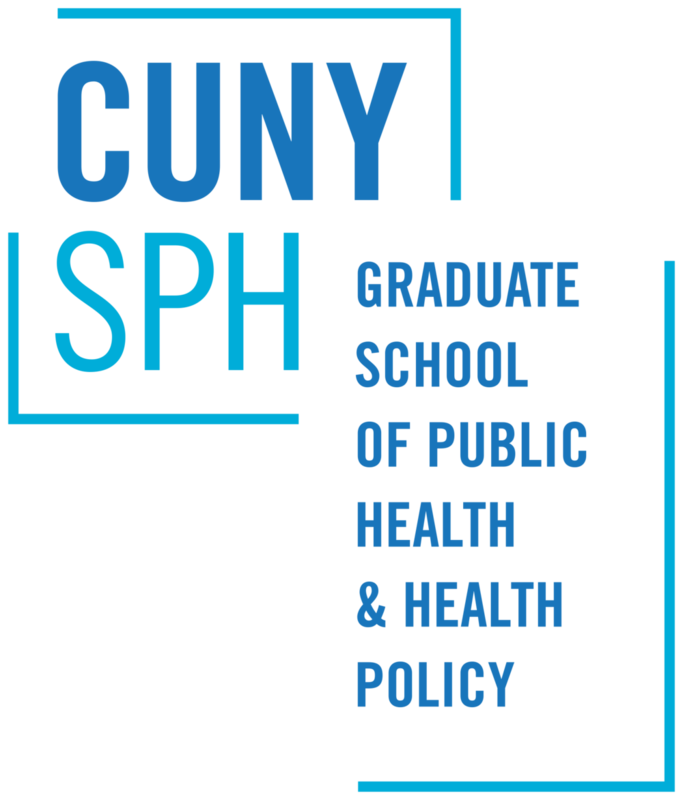 A Policy Brief by the CUNY Urban Food Policy Institute and Bedford Stuyvesant Restoration Corporation, 2018. 2 NYC Community Health Profile: Bedford Stuyvesant." NYC Community Health Profiles. NYC Department of Health, 2015. Web. 06 Sept. 2016. 3 NYC Community Health Profile: Bedford Stuyvesant." NYC Community Health Profiles. NYC Department of Health, 2015. Web. 06 Sept. 2016. 10 Feenstra G, Ohmart J. The evolution of the School Food and Farm to School Movement in the United States: connecting childhood health, farms, and communities. Childhood Obesity. 2012 Aug;8(4):280-9. 12 JoAnne Berkenkamp and Lynn Mader. Farm to Childcare Opportunities and Challenges for Connecting Young Children with Local Foods and Farmers. Institute for Agriculture and Trade Policy, 2012. 15 Bedford Stuyvesant Restoration Corporation Strategic Plan 2019-20123. Closing The Racial Wealth Gap, 2018.